Today is the last day, day 31, of my 6th annual Fall nesting series! I cannot BELIEVE it’s been 31 days already and honestly, I have had such a blast that I don’t want it to end! But if it has to end, it may as well end with something FUN! 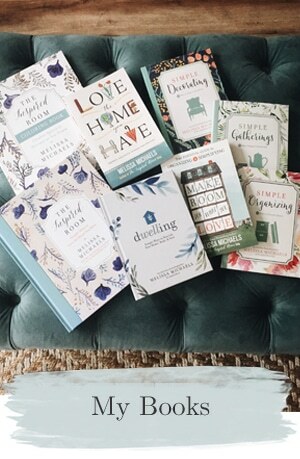 So how about a project inspired by one of my favorite stores, Anthropologie!? 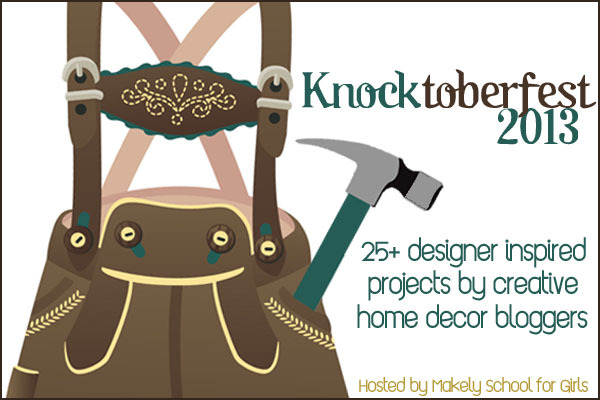 But not only is it the last day of my series, but my friend Lindsay of Makely Home had a great idea for a party called Knocktoberfest where 28 awesome bloggers would do a budget knock off of a designer piece or a display knock off from a favorite store or magazine. Knocktoberfest is a week long party and we are jumping in here on day three! 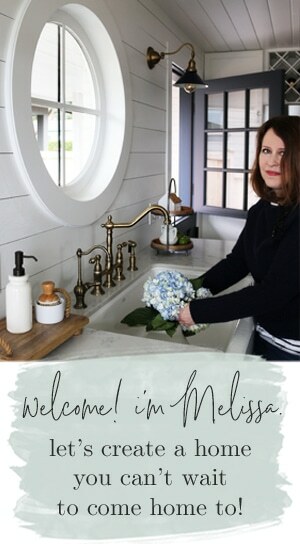 You can find the party hub here at Makely Home so you can find all the bloggers and their projects as they share them all week long! If you are arriving here from Lindsay’s @ The White Buffalo Company, welcome! Did you see her project?! OH MY GOODNESS! So good. So, you all know I have a long standing crush on Anthropologie. I’m not ashamed about that. Anthro is cool. 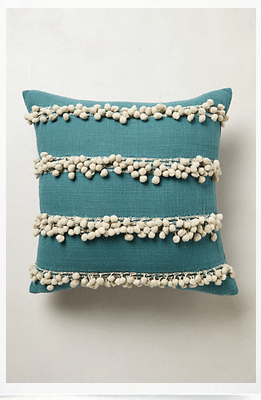 When I saw this whimsical pom pom tassel pillow, I knew I wanted one for myself. 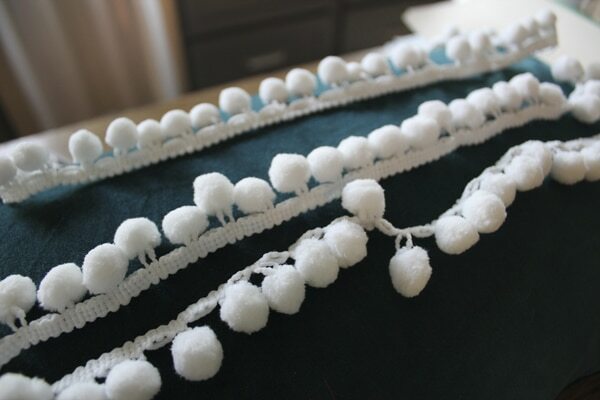 At $58, it this tassel pillow was not the most expensive pillow in the world, but I knew I could make it for much less. And while I’m not all that crafty, this was an easy project even I could do! Now, to really make this a budget project I could have made the pillow from scratch. But, I already had a pillow from World Market that I thought would be adorable with the tassel detail. This pillow was about $16. In the short time I had to find supplies (I went to JoAnn Fabrics) I wasn’t able to find the pom pom trim that looked exactly like what was on the Anthro pillow. 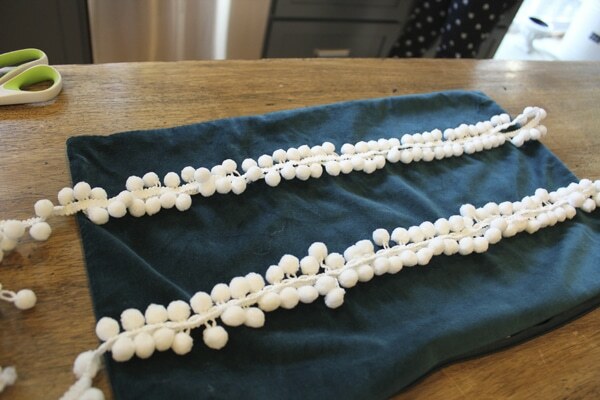 But, I improvised with something close and decided I could put two strands together, side by side. But I still wasn’t really happy with it. The Anthro pom poms seemed a little more haphazard and fun and my pom poms seemed a little uniform. 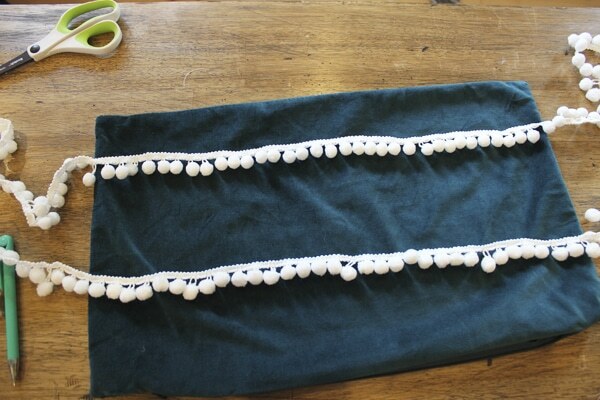 So, I messed it up a little bit by pulling on the tassels so some hung down lower than others, and then twisting them up and around until they looked a little more CRAZY and pulled apart. Ahhh, yes. That’s a bit better. Perfect is overrated. Then I doubled up the strands and stitched them to my pillow. Since my pillow was a rectangle and not a square like the Anthro one, I just did two rows across. And, voila! My Anthro knock off tassel pillow. I was pretty pleased with how cute it turned out! Little details like this are what makes Anthro my favorite. Don’t forget to go visit my amazing friend Ana White, she will be your next stop on this Knocktoberfest BlogHop! I put tassels on a pillow and she most likely built something incredible with power tools. She’s incredibly talented so I can’t wait to see her project! 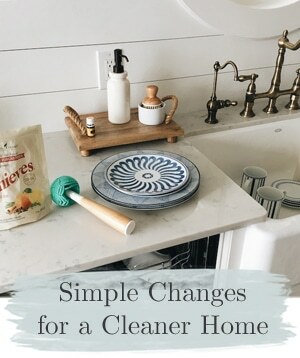 (and don’t forget to visit Lindsay of @ The White Buffalo Company}! Thanks Lindsay! :-) Great job on your project!!! Wow you did a fantastic job on this! 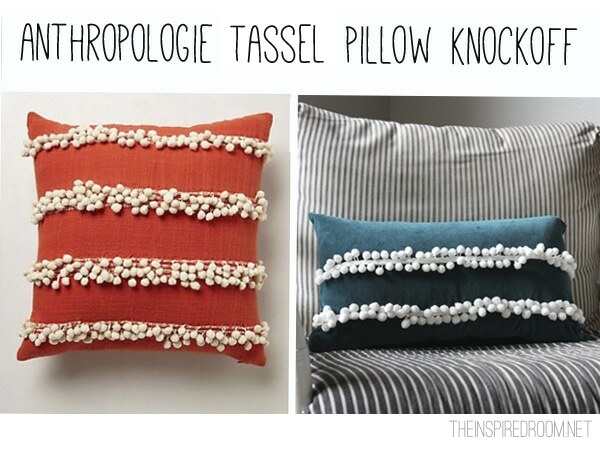 Your pillows look like they could be a part of the Anthro collection!! 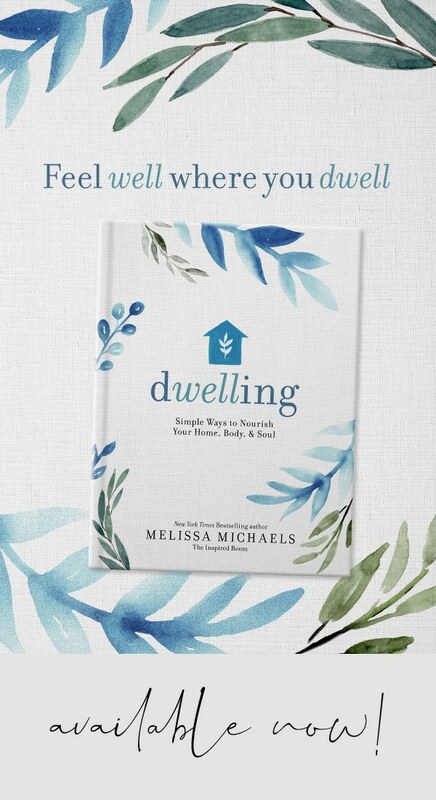 Melissa, this is absolutely adorable! I love it. I’ve been lusting over the Anthro fringe curtains for my daugther’s room that’s made in a similar way. Maybe I should just knock them off instead of paying $1000 for a curtain panel! I always think that with pillows – they seem more expensive than they should be. AND I can do it myself. Which I have done. And it’s fun to do it yourself because I’m always changing what I like. Pillows can change the whole room. Great job! I love how dainty the poms are! You did a great job with the knock off. $50+ for a pillow is definitely way too much when you’ve made your own! I love your pillow even better than the Anthro version. 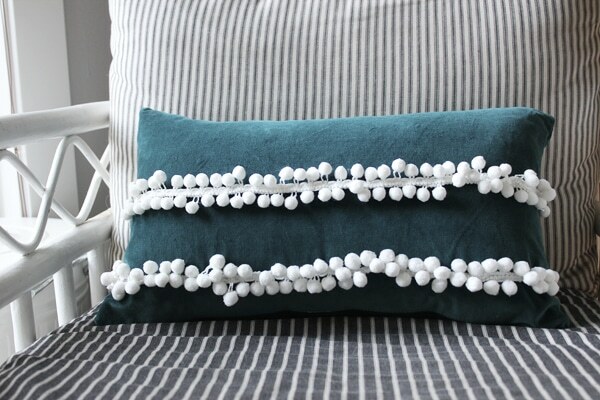 It looks fabulous with two strips of poms across a lumbar pillow. So fun! 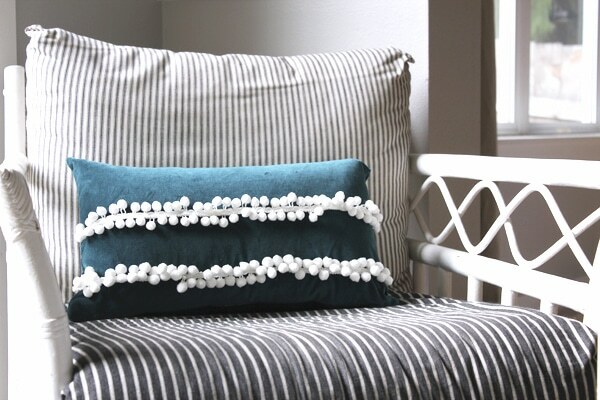 Love your pillow – such a cute idea and great the way you gave it a relaxed look! So cute Melissa. Love the color too! 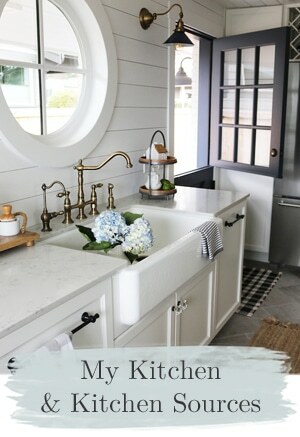 Ow what a pretty DIY. These pillow’s are so cute. Thanks for sharing this. Need to try it. I adore your knock off throw pillow. First off, it’s a color I love, and secondly I rarely pay nearly $60 for a pillow. 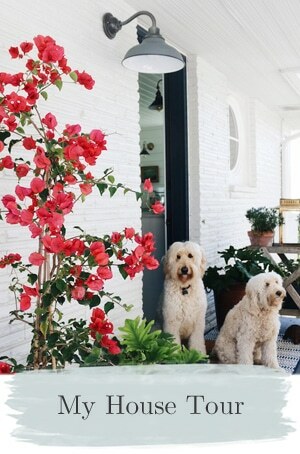 I’d love to try something like this, and I like the idea of ‘messing’ the pom poms up a bit… I’d like to even find some in a faded color…. Yay! You made it through 31 days! Only got a few left on this end. Phew! I love your knock-off pillow! Thank you for inspirational ideas. Love your blog! What a great idea! We shared this page with our followers:) Thanks for stirring our creative juices! Love this :) I’ve had this pillow pinned to make for myself too!